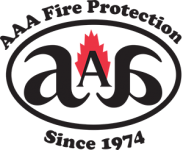 AAA Fire Protection Services is a family-owned business that provides comprehensive fire protection and fire suppression services to businesses in Cupertino, the Santa Clara Valley, and throughout the South Bay. We provide installation and service for Ansul Fire Systems and emergency light installation to help local businesses comply with state, federal and local fire protection protocols. We've been in business since 1974 and offer more than 40 years of experience working with businesses just like yours. Our Cupertino Fire Protection services include emergency light installation which is a two-part process. The first part of our emergency light service is installation. The second part is the service and maintenance. Our emergency lights service includes routinely scheduled emergency light testing where we gather data and when needed emergency light repair. Our staff is made up of experts and we work with businesses of all sizes. Because each industry within the San Francisco Bay Area is different we offer specialized services for industries that require special equipment. For example, the automotive industry requires paint booth fire systems when auto painting is an offered service. We offer free quotes. We make this process affordable and easy. If you'd like more information just give us a call at (800) 543-5556.